Doors open at 11:30 a.m. Meeting from noon to 1 p.m.
JOEL COWLEY Joel Cowley was announced as the president and chief executive officer of the Houston Livestock Show and Rodeo™ Monday, Aug. 5, 2013. Cowley joined the Show staff in 2005 as the executive director of agricultural competitions and exhibits. In this role, he worked with approximately one third of the Show’s volunteer committees while overseeing aspects of the livestock show, horse show, wine show and auctions. Prior to joining the Show, Cowley worked for Certified Angus Beef LLC, the not-for-profit division of the American Angus Association, where he began as executive account manager in the international division and finished as assistant director of the foodservice division. Before his employment with CAB, he was a faculty member at Michigan State University, where he served as an extension beef cattle specialist. Prior to that, he was employed by Texas A&M University as a lecturer and livestock judging team coach. An 11-year 4-H member in Wyoming and Colorado, Cowley was active in livestock projects and a member of national champion 4-H wool judging and livestock judging teams. 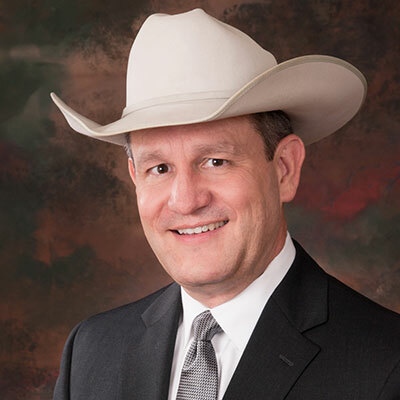 He first attended the Houston Livestock Show™ as an intercollegiate judging contestant in 1985 and has participated in every Show since 1988 as a coach, livestock judge or employee. Cowley holds a bachelor’s degree in animal science from Colorado State University, a master’s in animal science from Texas A&M University and an MBA from Michigan State University. Cowley and his wife, Tammy, have two daughters.